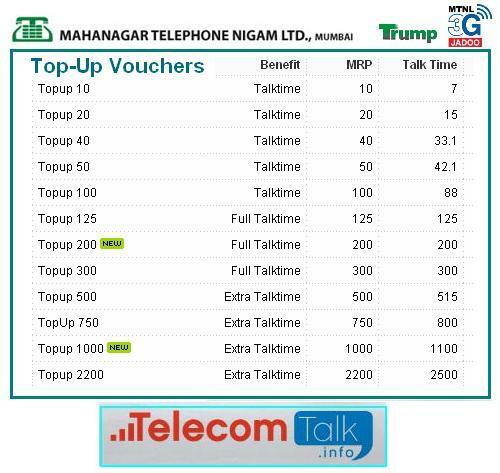 Mahanagar Telephone Nigam Ltd (MTNL) today announced the launch of two new Top-Up with Full & Extra Talk Time for its ‘Trump’ prepaid customers (2G and 3G) in Mumbai circle priced at Rs.200 and Rs.1000. MTNL Mumbai’s new Top-Up, priced at Rs.200 will give full talk time of Rs.200 while with Top-Up of Rs.1000 enables its customer to enjoy extra talk time of Rs.1100 as main balance. The above new Top-Up will be available for Prepaid subscribers in Mumbai circle through E-Recharge system or Online Web Recharge only. 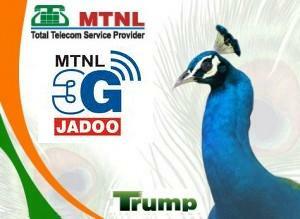 For more details dial 1503 / 9869012345 (toll-free from MTNL). MTNL is poor in terms of indoor coverage….poor audio quality….customer resolution of problems,etc…. Often I get echo sound during the call. “Aami dilgir ahoot…!” The number you have dialed is out of coverage area !